A fellow hawk-watcher has been reporting seeing two adult red-tailed hawks down by the Manhattan Bridge, so I decided to check it out this morning. As luck would have it, I spotted them as soon as I arrived. 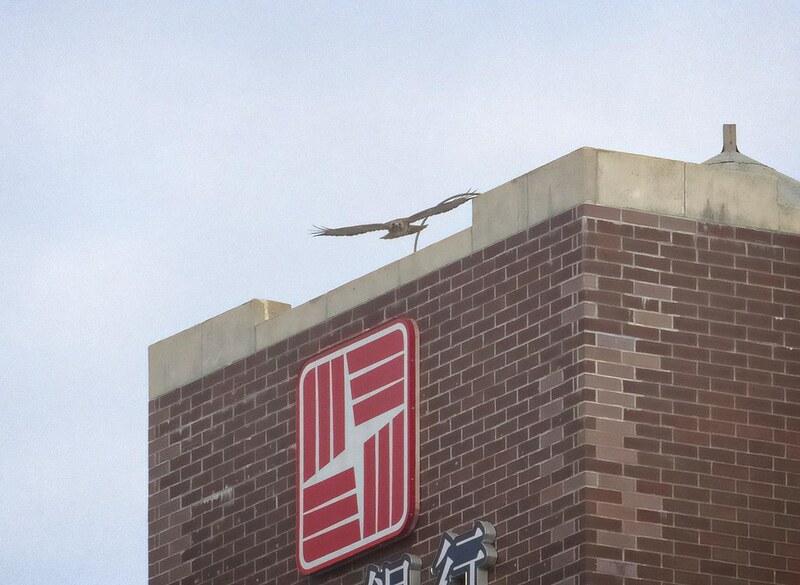 One was perched on a building at Bowery and Canal. 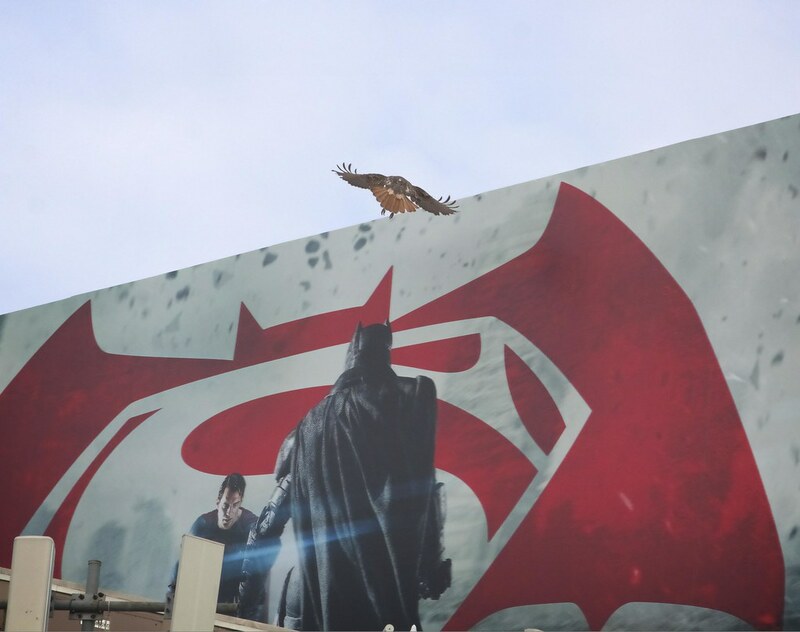 The other flew in from the south and perched atop a billboard at Canal and Chrystie. I was standing on Canal and Forsyth, about a block away. 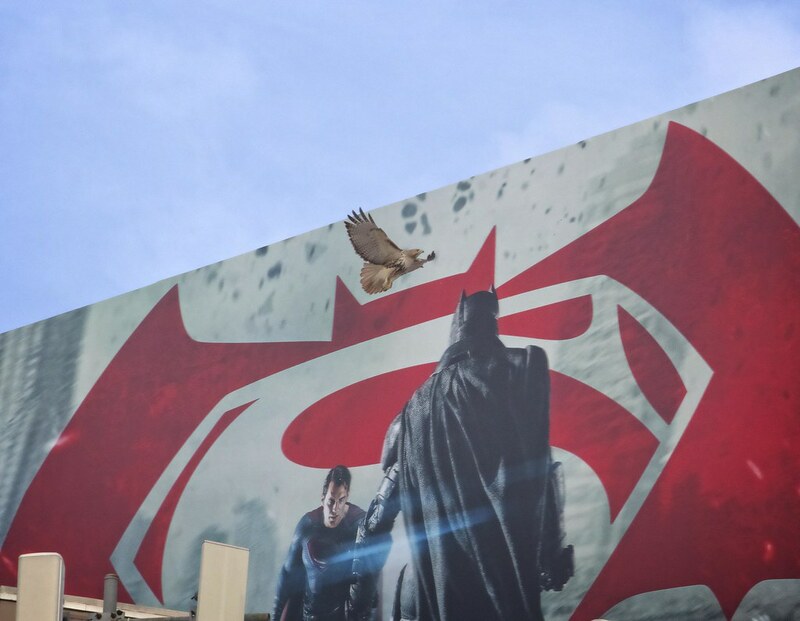 The one from the billboard flew towards me down Canal, so I was able to get a closer look. It has light amber eyes and faint rusty barring on its legs. 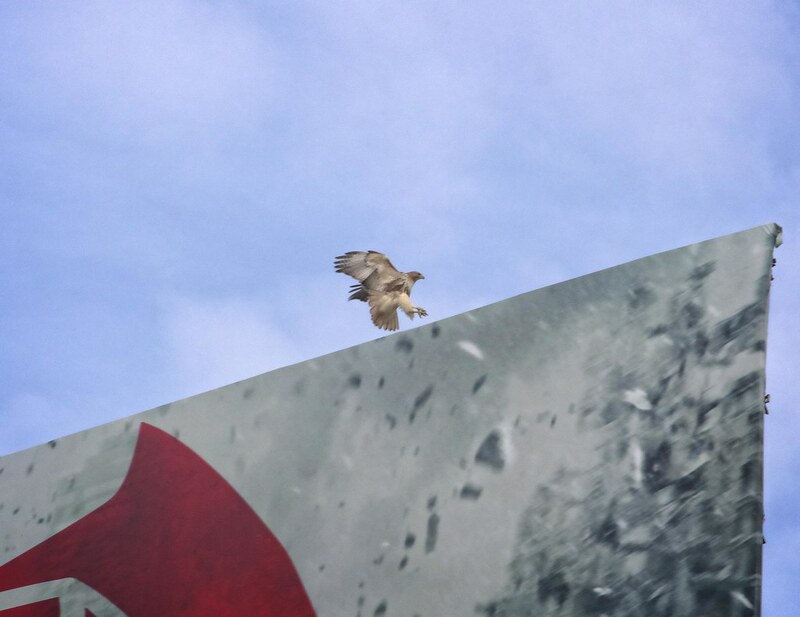 I'm guessing this is the male, only because it flew somewhere over Eldridge Street, then returned with a rodent, which it took back to the billboard. 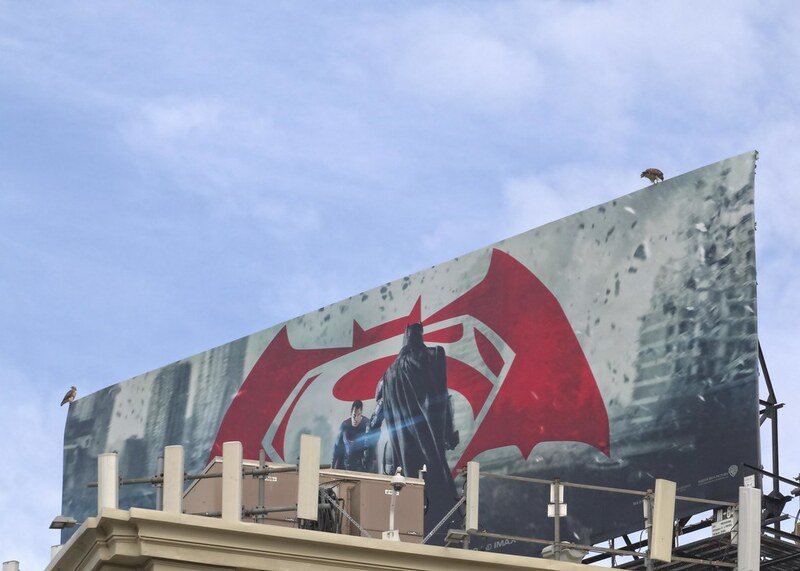 Oh, hey, the billboard is advertising that new movie: Superman vs Batman vs Hawk! 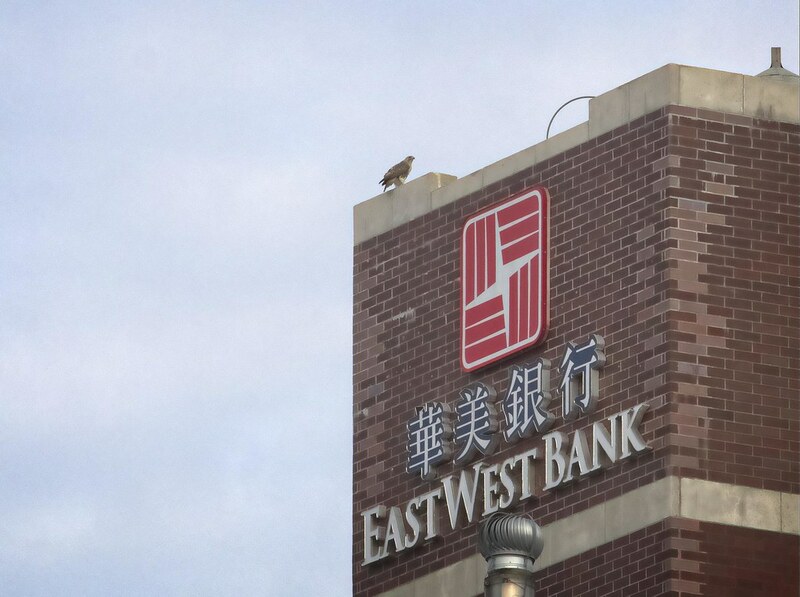 When the hawk dropped the food off at the billboard, the other hawk flew in and both of them were hidden from my view for a few seconds. 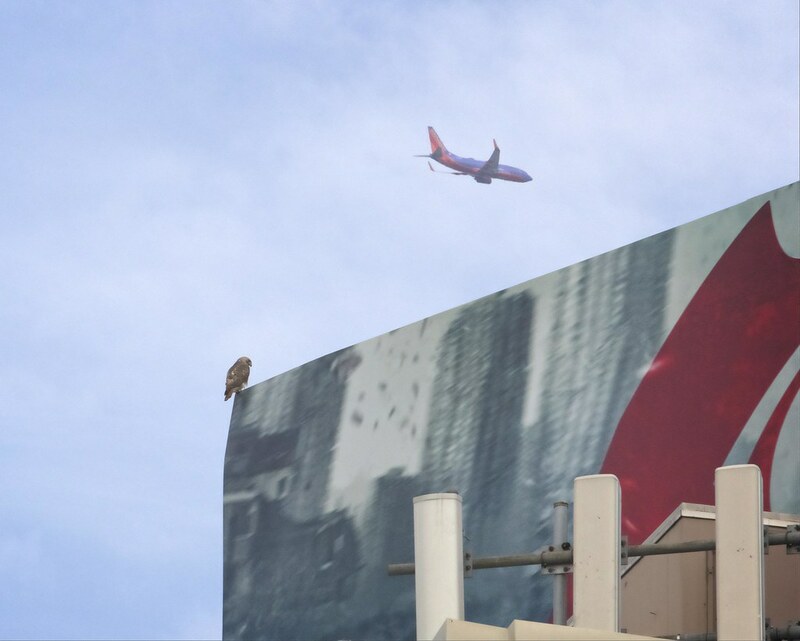 I didn't have to wait long, though, before both hawks came around to the front of the billboard. 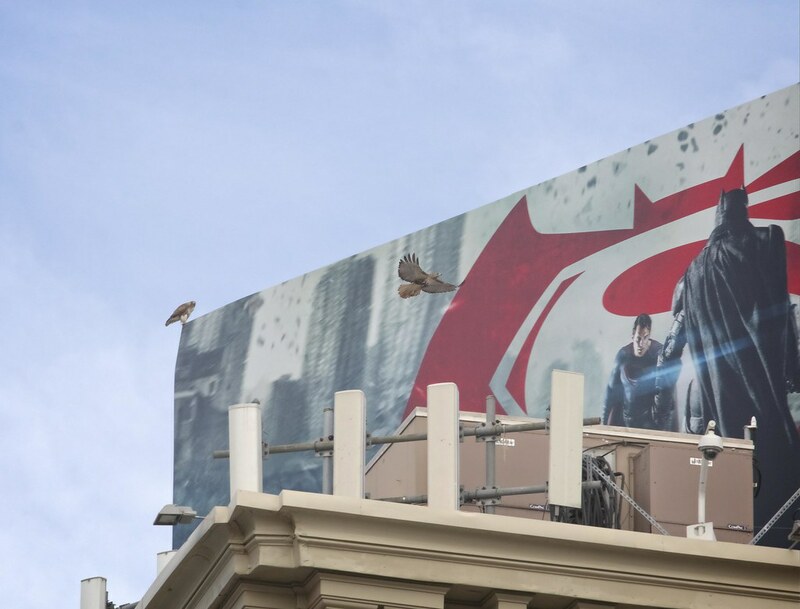 Both hawks perched on the billboard, one at each end. I think the male is on the left and the female is on the right. 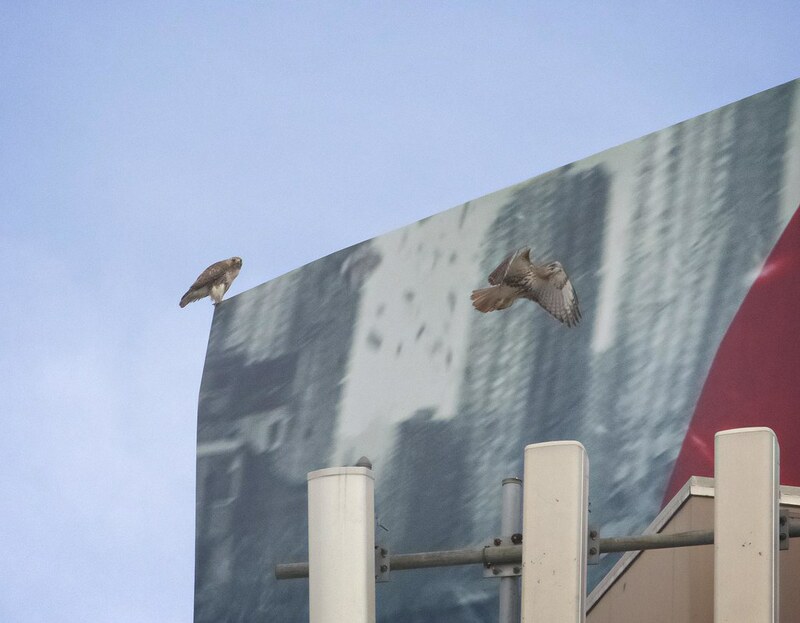 Seeing this pair raises some questions: Are these the same hawks that were hanging around Grand Street in December? 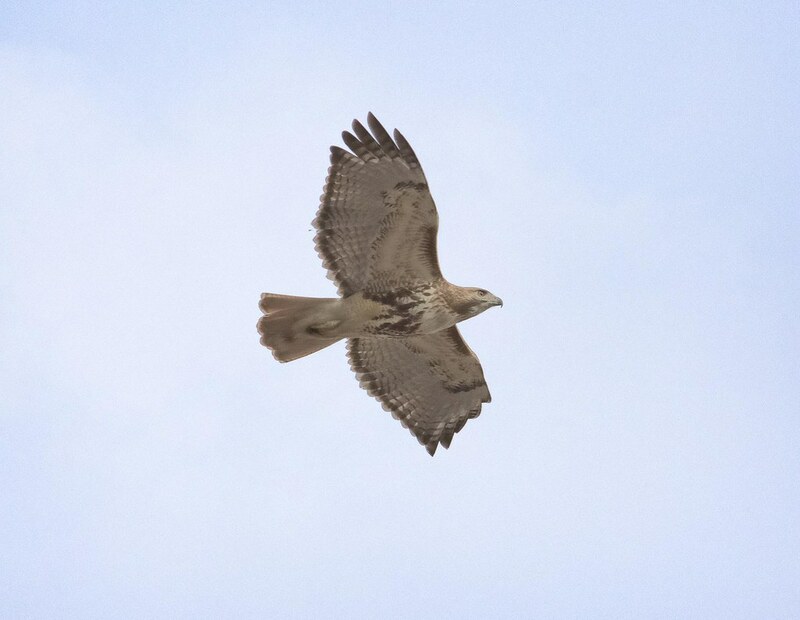 Was the red-tail that was rescued on February 1 the male of that pair (to date, that hawk is still in rehab)? If so, could the female have found another mate and they are now the ones seen here on Canal Street? 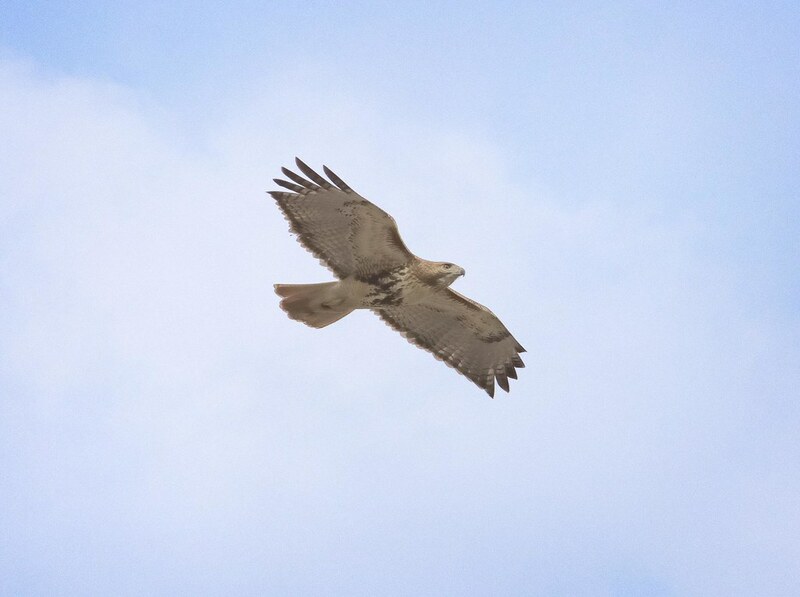 Is this an entirely new pair of hawks? Are they nesting in the area? I'm intrigued, so will be adding this location to my regular rounds and will update when/if I learn anything new. See more photos of these hawks here.